I am glad to share beautiful article compiled by Sri PR Kannan of Navi, Mumbai. First Padha Puja for Sri Periyava? via First Padha Puja for Sri Periyava? Do you know that Srilanka is the first country outside of India to have Mahaperiyava Vigraham installed in a temple and that too couple of years back? 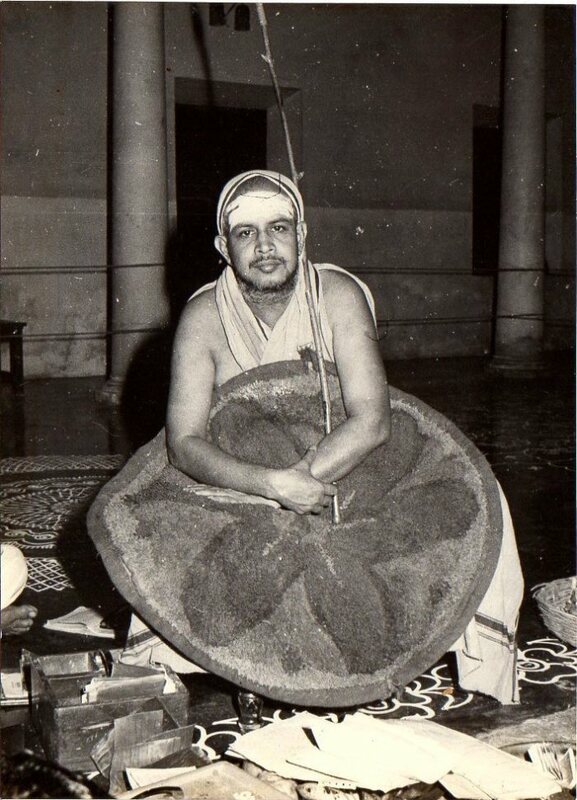 During that process, they had created a mula mantra and a yantra for Mahaperiyava! Surprising, right? This was done by His sishya – Sri Sureswaracharyar. Typically sishyas do it for their guru. The mula mantras typically describe the great attributes of a devata – in this case guru. Mostly a sishya would do it as they would express their experience of their guru’s great aspects. However there is no such rule that sishyas should do.